Mobile MagicWhat Can I Wear? Easy access to mainline railway stations with hotels nearby. "It's What You Don't Say That Matters"
Is the title of my new book and below are a few video clips covering just a fraction of what you'll be learning of the weekend. Join me for this unique opportunity to learn how to make your body language work for you in social situations, business dealings and all manner of other everyday encounters. I know it's a tough time financially for many people so I've kept the cost as low as I can and to help anyone feeling the pinch you now have a choice of two payment methods. Pay now in full by clicking through the shopping cart procedure and booking your place. Click the button below and pay "Non Refundable" deposit of just £50 and pay the balance when you arrive on the day, cash only please no cheques will be accepted. Here's some book reviews taken from the Amazon page, imagine how much you can learn over two days? Wow.. what can I say, this is a truely enlightening book! 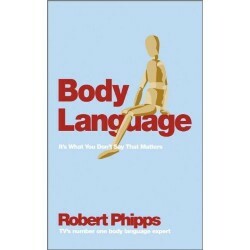 Over the past few years I have been looking to gain knowledge on the subject of body language and have spent much time reading books related to it but none of which have even come close to this book by Robert Phipps, he certainly knows the subject well and puts his knowledge of it across perfectly..... I just couldnt put it down!! Its amazing to think that in the past two days I have felt more in control..... Yes, I gained ALL that from a book! "Mobile technology and email have shrunk the size of the world. A lot of business is now conducted at arm's length and remotely, diminishing our face-to-face communications skills. Whilst it is now technically possible to pull off a big deal with a huge multinational, sitting home alone in our pyjamas, when that deal starts to go off course, genuine face time counts. Understanding body language is the key unlocking a secret code, exposing the thoughts, plans and actions of our fellow human beings. This insight is crucial in business and in all human relationships. "I could not put it down. I can only say that this book will change your whole life and the way you look at your fellow man and woman. "A compelling read, I couldn't put it down! The very first paragraph gets you thinking and that doesn't stop all the way through this fantastic book! Robert gets you to think about what you do, what you see, what you think... everything.. and in a really friendly, informative way. It's almost as though he was there in the room with you, having a chat. This fascinating book is well laid out, with just the right amount of information interspersed with exercises, case histories, stories and great pictures, and the summaries at the end of each chapter bring it all together. I loved the PIN code especially... it takes 'people watching' to another level and helps bring together what you have learned through the book. I doubt I will ever be bored again waiting for train or in a really dull meeting, as there will always be something to look for now.